​Sevilla sporting director Joaquin Caparros has revealed that the exorbitant fees quoted by Chelsea for their misfiring striker Alvaro Morata stopped the Spanish team from pursuing their interest in the player. The forward has just five goals in 16 league appearance for Maurizio Sarri's side this season, and has been dropped for Eden Hazard as a false nine in recent times, with just two showings in his last seven games in the competition. 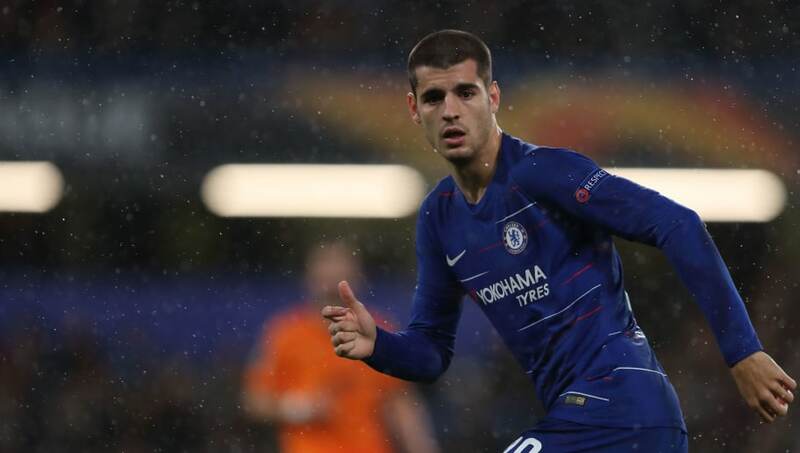 Despite his poor form, a number of clubs are said to be interested in recruiting ​Morata, including Atletico Madrid and Barcelona, but one team who have bowed out of the running is Sevilla, as confirmed by Caparros. Speaking to ​ESPN about Los Hispalenses chances of signing the Spaniard, their director of football admitted: "Sevilla are an appealing team for a lot of players and Morata wanted to come. We had talks but when we started talking about fees, we quickly realised that it was impossible and we gave up." They are also seeking the maximum compensation for the striker's €9m a year pay package in any loan deal, and would prefer an option to buy to be included.